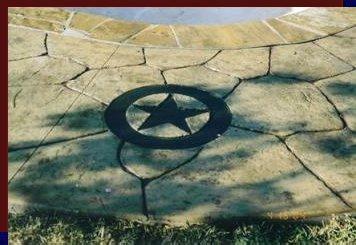 Combining a sense of creativity with meticulously skilled craftsmanship, Designer Concrete will be at your service to provide a variety of stamped, stenciled and colored concrete jobs. Whether it is a driveway, walkway, patio, porch, entry, or even a state of the art pool deck, you can be reassured when you hire Designer Concrete, you will see the finished product to be truly customized and personalized to meet your exact needs and desires. Once complete, Designer Concrete will also recommend a sealing product that will not only accentuate the beauty of your floor but will improve resistance to the harsh conditions of the weather, water, stains, and abrasives. A quality sealer should also assist to the cleanup of deicing from freezing temperatures. To schedule an immediate consultation, please call Designer Concrete today 214-544-1004 and we will be glad to assist you at your nearest convenience!